While Britain is in the depths of winter, the Caribbean promises sunshine and temperatures in the mid to high twenties. This, combined with stunning scenery and a wealth of desirable destinations, makes the Caribbean a perfect place for a winter escape. The Caribbean is home to some of the world’s most beautiful beaches, so no matter where you go you are sure to find an idyllic stretch of golden sand. 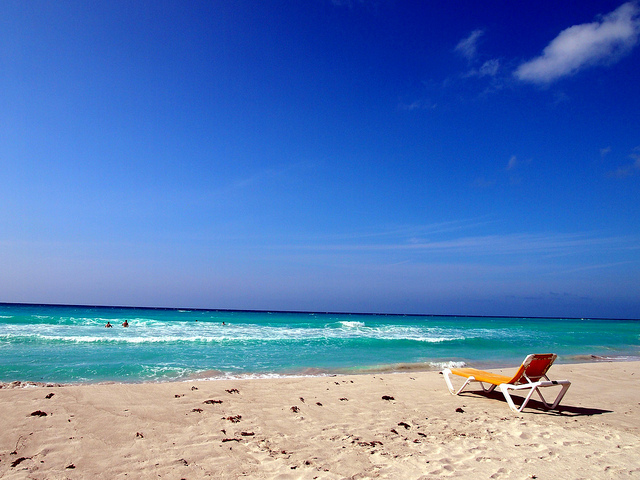 If you’re looking for the best of the best, the vast beach in Varadero, Cuba, is one of the most picturesque in the entire Caribbean. Located on the Hicacos Peninsula in the north of the island, this 20 kilometre stretch of sand is spacious even in the busiest tourist seasons. Image by momo used under Creative Commons licence CC by 2.0. The sparkling Caribbean Sea is ripe for exploration. Diverse marine life thrives off the shore of many islands, and all kinds of caves and wrecks are waiting to be discovered beneath the waves. There’s a lot of history in the Caribbean, and a number of destinations that are particularly attractive to history buffs. Philipsburg, the capital of St Maarten, is brimming with opportunities to learn about the island’s past. At the end of Little Bay beach lie the remains of the 300-year-old Fort Amsterdam. After you’ve explored the ruins, you can enjoy stunning views of neighbouring islands from the hilltop. In the centre of Philipsburg, you’ll also find the St Maarten Museum. Here, the island’s entire history is on display, from its early Arawak interpretation through to discovery by Columbus, right up to the joint Dutch-French settlement. Rain and wind make it difficult to enjoy outdoor activities in the British winter, but in the Caribbean you’ll have no problem coming up with an action packed itinerary. 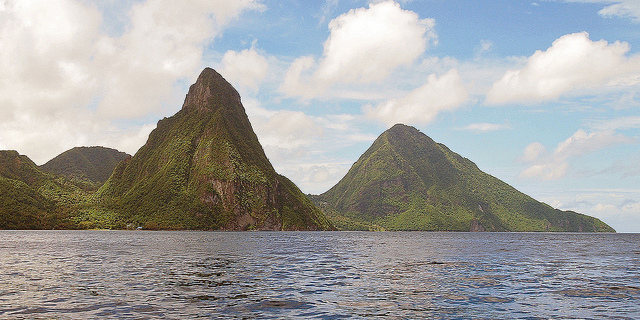 St Lucia’s Piton peaks are a favourite with hikers, whether you’re a casual stroller or a challenge seeker. For a different way to enjoy the gorgeous surroundings, try ziplining in Jamaica. Several great zipline tour operators are based in Montego Bay. You can learn the ropes on a low line, and before you know it you’ll be soaring over tropical scenery at over 1000 feet. Image by Mike_fleming used under Creative Commons license CC by-sa 2.0. Caribbean food is rich with flavours that you will be dying to try. Jamaica’s jerk chicken is world famous, and you can’t take a trip here without trying it. Seafood is also a staple throughout the Caribbean, but if you want something different, conch – a type of large sea snail – is a delicacy served at most cruise ship ports. What would you get up to on your escape to the Caribbean? Share your thoughts in the comments! Hey Marian, love your blog post! Next time you cruise the Caribbean make sure you also come to Curacao. We have wonderful beaches with lots of snorkeling opportunities, the most colorful houses of the Caribbean, and the nicest people that welcome you on the island.